Where were you Saturday morning? 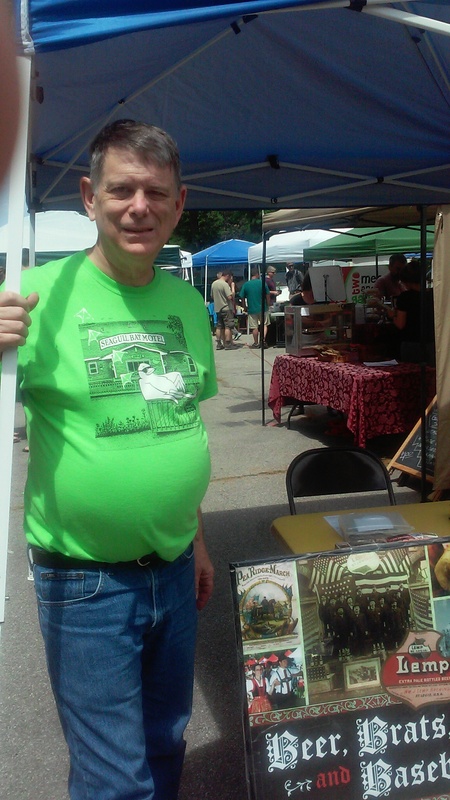 As you can see, I was signing my books at the Tower Grove Farmers Market Saturday morning. How come I didn’t see you? If you were there, you’d have seen all kinds of good food and drink, talked to all manner of people who’d bought my books and maybe carried a sign in a demonstration against Monsanto’s GMOs. You still can redeem yourself. I’m taking this Saturday off for our anniversary (Love you Lorraine! 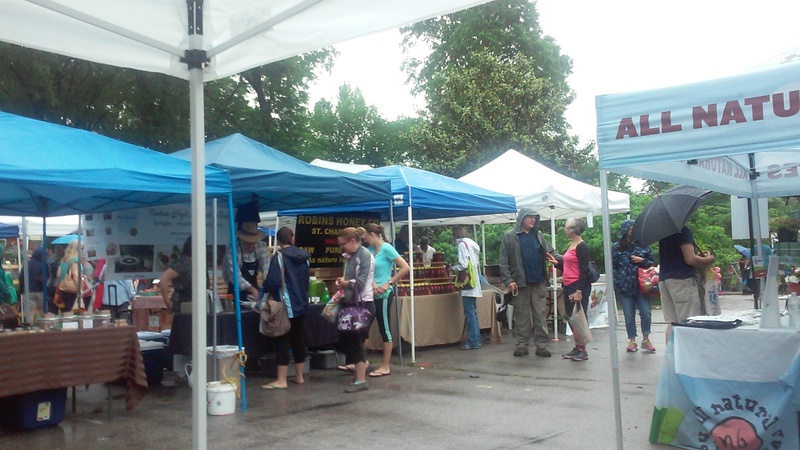 ), but will be at the Arnold Farmers Market on June 6 and back at the Tower Grove Farmers Market on June 13. If you missed those, you are without excuse. I talked with plenty of great people when I signed books at the German Cultural Society’s Maifest Sunday in House Springs. 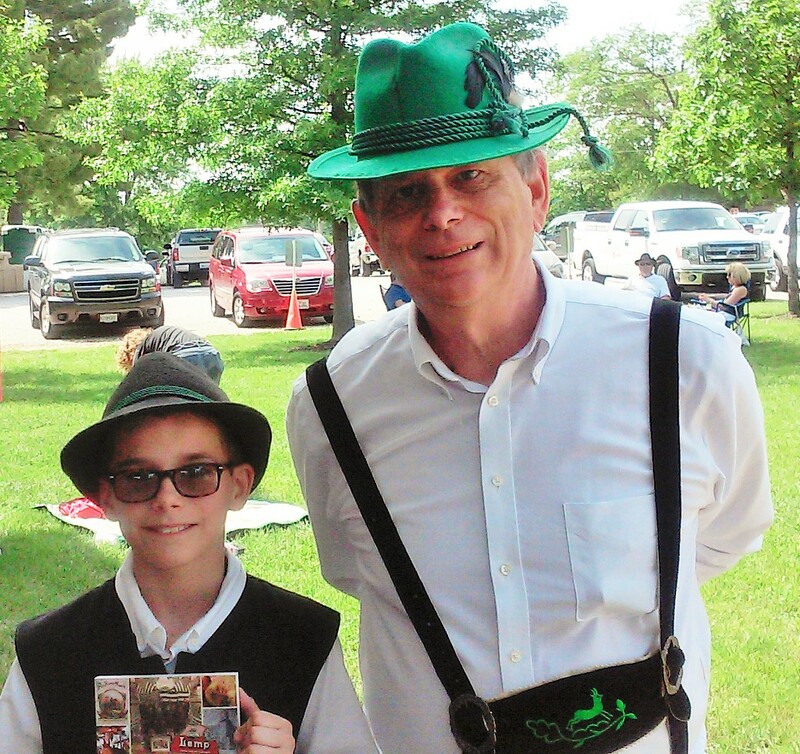 But my favorite is Kendall Smith, who is shown here with me holding a copy of my book, Beer, Brats, and Baseball: St. Louis Germans. Kendall, a student at Orchard Farm Elementary School in St. Charles, asked me some really intelligent questions about the Germans’ role in saving Missouri for the Union during the Civil War. Then he told his grandpa, Kenny Biermann he wanted Beer, Brats, and Baseball. 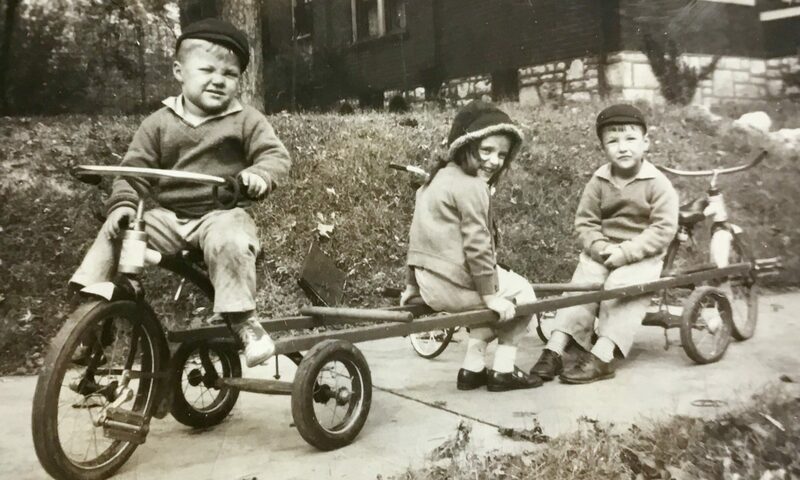 When grandpa told Kendall he had a copy of Beer, Brats, and Baseball to give his grandson, Kendall got him to buy another of my books, The Making of an Icon: The Dreamers, The Schemers, and The Hard Hats Who Built The Gateway Arch. It’s no surprise that Kendall likes history at school.